Comics have faced somewhat of a resurgence in recent years, aided by the popularity of their film and television adaptations. 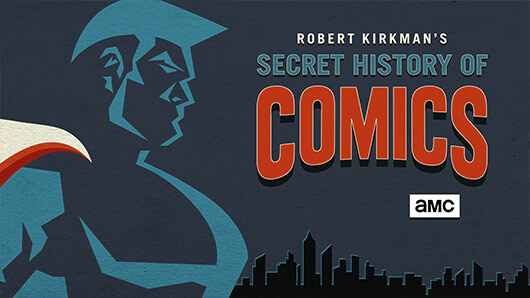 New AMC Original Series, Robert Kirkman’s Secret History of Comics, lovingly examines the history of the art form. In six episodes, it includes the personalities, business rivalries and feuds that fed the success of the industry. The series starts with a behemoth. Stan Lee is thought of by many as the mastermind behind the success of Marvel Comics in the 20th century. By most accounts, he was. However, his success was never a solo endeavour. Robert Kirkman’s Secret History of Comics provides an insight into the people and circumstances that created Marvel’s success. This story is about more than Stan Lee. There’s the role of Jack Kirby, who was Marvel’s principal artist during the glory years. The lack of credit he received led to a feud that ultimately saw his departure from Marvel. The rivalry with DC, which actively tried to suppress Marvel’s distribution, also matters. The entrepreneurial spirit that saw Marvel differentiate itself from its competitors is a focus. There’s also significance in the timing of success. During the rock’n’roll-loving sixties, Marvel could creep into the national consciousness and appeal to a growing alternative readership. Stan Lee played an integral role in crafting the universe for which he became so well known, not only for the characters he created but the role he created for himself. He was charismatic. He made an effort to interact with and support communities of fans. He sought to include stories that had a universal appeal. Despite never owning the Marvel brand, he managed to make himself synonymous with it. There’s a lot to love about this dedicated depiction of geek history, from the soundtrack to the reconstructions of prominent players and interactions in comic form. 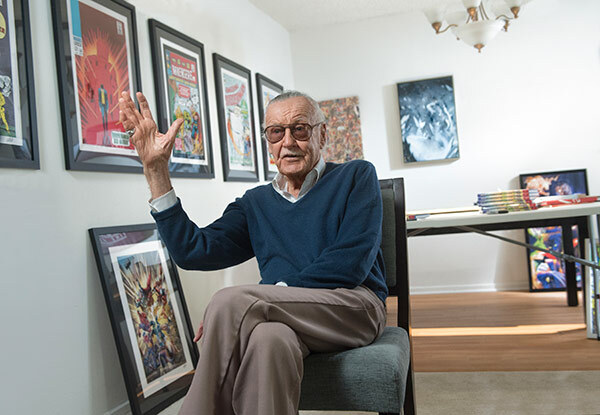 There are interviews with key names, including Stan Lee himself, prominent comic historians and actors who have played a role in the franchise. It’s a brilliantly succinct and fascinating insight into the world of comics, educational and entertaining in equal measure. It’s one which both fans and those unfamiliar with the world of comics should enjoy. Robert Kirkman’s Secret History of Comics airs Mondays on AMC at 9pm.